After NBC’s The Sound Of Music Live! earned unexpectedly huge ratings last year, the network has continued to chase the social media-spurred excitement (and advertising money) of live television. Peter Pan Live! will air in early December, and now it’s considering a different, more dramatic theatrical event: a live staging of A Few Good Men. 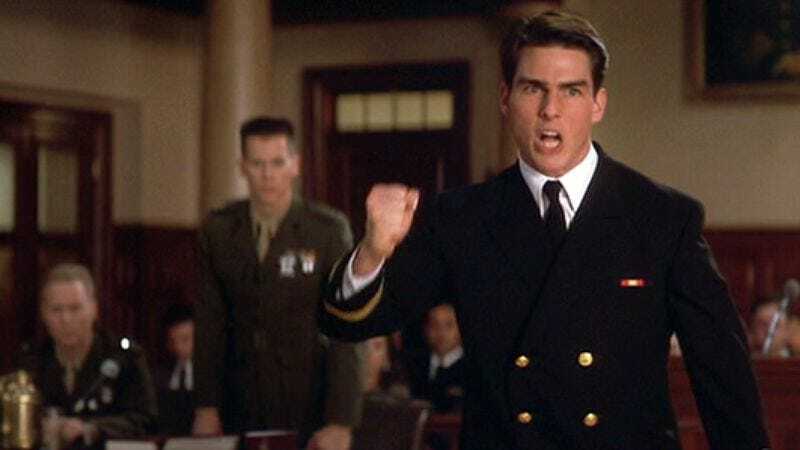 Best known as a 1992 movie starring Tom Cruise and Jack Nicholson, A Few Good Men started out as a Broadway show in 1989, with Aaron Sorkin penning both the stage script and subsequent film adaptation of a military courtroom drama about two Marines accused of murder. According to Variety, NBC would like Sorkin to do another pass on the script to tailor it to television under producers Craig Zadan and Neil Meron, the same duo behind NBC’s live musicals. Nothing has been finalized yet, so there’s no word on which actor/pop star might soon be screaming, “You can’t handle the truth!” on live TV. Should A Few Good Men succeed, it could open up a whole new range of TV productions beyond family-friendly musicals to other highbrow dramas. Expect to see announcements about Waiting For Godot Live!, Hedda Gabler Live!, and The Iceman Cometh Live! any day now.